Rein Ulijn&apos;s research is focused on peptide nanotechnology. He is founding Director of the Nanoscience Initiative at the Advanced Science Research Center (ASRC) at CUNY, New York. Prof Ulijn has held several personal fellowships and has won a number of awards, including the RSC Norman Heatley Medal (2013), Royal Society Merit Award (2014) and was elected as a Fellow of the Royal Society of Edinburgh. He holds an additional position as Professor of Chemistry at Hunter College of CUNY. He has authored over 160 peer reviewed research articles, 10 patent applications, and given over 140 invited and keynote lectures at international conferences. Since 2004 he has generated a grant portfolio worth in excess of US&dollar;15M as principal investigator with funding from ERC, NSF, US Airforce Office of Scientific Research, US Army Research Office and industry. He was founding director of Biogelx Ltd. (Glasgow, 2012) of which he is currently Chief Scientific Officer and Renephra Ltd. (Manchester, 2009). He gained his MSc degree in Biotechnology at the University of Wageningen (Netherlands) (thesis 1998), PhD in Physical Chemistry at the University of Strathclyde (Thesis 2001) and postdoctoral training at the University of Edinburgh. From 2003-2008 he was in the School of Materials, University of Manchester (promoted to Senior Lecturer in 2006 and Reader in 2007). Meghan graduated from the University of Strathclyde in Glasgow with an MSci in Forensic and Analytical Chemistry, which incorporated a years industrial placement in the RSSL Pharma laboratory. She completed a PhD under the supervision of Rein Ulijn characterising self-assembled peptide nanomaterials. Meghan is now the Laboratory Director for the Nanoscience Initiative at CUNY&apos;s Advanced Science Research Center. Muaad Alody was born and raised in Yemen. He came to the United States to pursue the best and highest possible education. Muaad Alody is a lifelong City University of New York student, receiving his Bachelor of Arts in political science and international relations and his Masters of Public Administration (MPA) from the City College of New York (CCNY). Muaad served in Student Government and held a series of Administrative offices at City College. While enrolled at CCNY for both my BA and MPA, he served his fellow peers as the Executive Vice President of the Undergraduate Student Government (USG) and the Chairperson of the Graduate Student Council (GSC). During his tenure in student government, he was heavily engaged in the decision-making process for CCNY, by serving on wide range of college committees such as the Student Services Corporation (SSC) and the Auxiliary Enterprise Corporation (AEC). At City College, Mr. Alody worked in the Office of Student Life & Leadership Development as an orientation leader, a college assistant and an office manager. He then joined the Student Engagement Initiatives at CCNY as the Administrative Coordinator, where he managed all administrative aspects of 5 different departments. 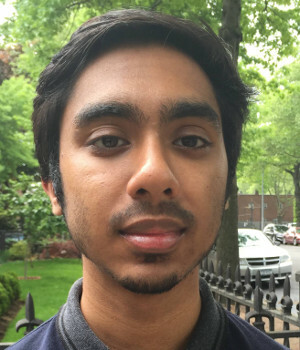 Currently, Muaad works as the Administrative Coordinator of the Nanoscience Initiative in the Advanced Science Research Center (ASRC) at the CUNY Graduate Center. 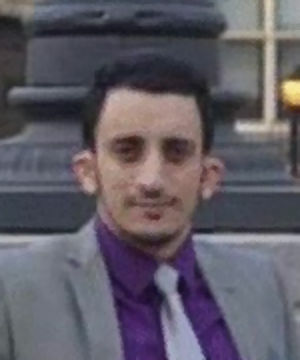 Muaad is also heavily involved in the Yemeni American Community in New York City. He is the Director of the Educational & Community programs at the Yemeni American Community Center, where he overseas and manages all programs related to education. Scott obtained a B.Sc (Hons) in Chemistry from the University in Glasgow, Scotland. There after he joined Prof. David Lilley&apos;s Nucleic Acid Structure Research Group under at the University of Dundee in a dual role as a research technician and managing the University&apos;s Oligonucleotide Synthesis Service. During his time at Dundee Scott spend time developing synthesis and purification methodologies for nucleic acids and applying these problems in nucleic acid structure, RNA catalysis, RNA-protein interactions and nucleic acid-fluorophore interactions. 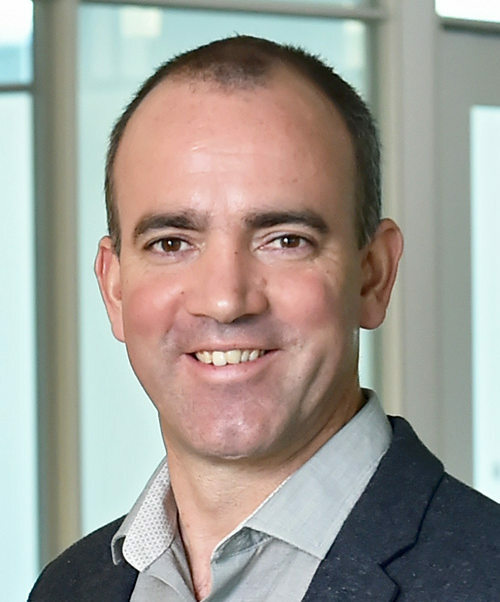 In 2013 Scott joined the EPSRC Center for Continuous Manufacturing and Crystallization (CMAC) at the University of Strathclyde, Scotland as Laboratory Manager. During his time here he overseen the relocation of the center to a bespoke facility whilst concurrently managing the implementation and integration of &dollar;20M of specialist equipment and instrumentation to make CMAC the world leading research center in its field. In 2016 CMAC received a "Facility of the Year" award in Washington, D.C. from the International Society of Pharmaceutical Engineers - the first time such an award was given to an academic institution. Scott&apos;s research interests focus on the chemistry and structure of small biologically relevant polymers and the technical development of methodologies to study these effectively. Ankit obtained his B.Tech degree in Bio-technology from SASTRA University, India. In 2011, he joined Jawaharlal Nehru Centre for Advanced Scientific Research, India as a Ph.D. student under Prof. Subi J. George. His research work focused on dynamic charge transfer aggregates and temporal control of their self-assembly. He has also worked on clay-chromophore conjugates and their pertinent photo-chemistry. Currently, he is working with Prof. Rein Ulijn as a postdoctoral research associate at ASRC, CUNY. His work mainly focuses on development of dynamic peptide libraries towards answering questions pertaining to chemical origin of life. Mohit obtained his MSc degree in chemistry from Sri Sathya Sai Institute of Higher Learning, Andhra Pradesh (India) in 2009. There after he joined Jawaharlal Nehru Centre for Advanced Scientific Research for PhD, under the guidance of Prof. Subi J. George. His doctoral work was mainly focused on dynamic self-assembly of chromophores and guest induced chirality in functional supramolecular polymers. Presently, he is working with Prof. 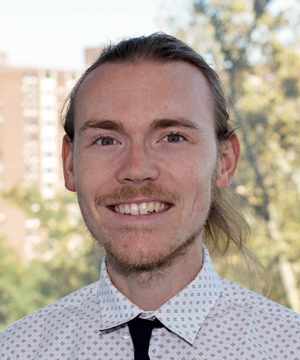 Rein Ulijn as a postdoctoral research associate at ASRC, CUNY, where he is working on biomimetic non-equilibrium assemblies of peptide derivatives fuelled by solar energy. Apart from research, he likes trekking and playing basketball. 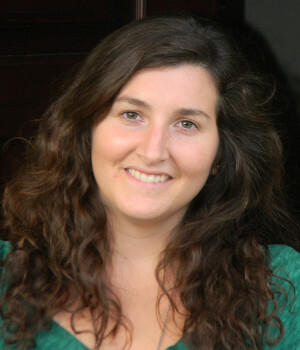 Ayala gained her PhD from Tel Aviv University, under the supervision of Prof. Ehud Gazit. Her work mainly focused on the molecular mechanism underlying viral self-assembly, as well as on the development of new therapeutic tools by targeting this process. 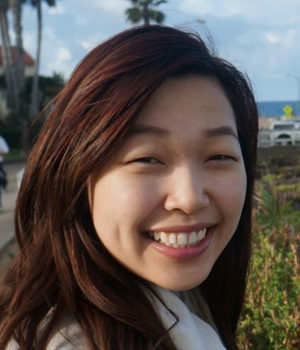 She has recently joined the Ulijn group as a postdoctoral research associate to work on the design of nanostructures for biomedical platforms. Silvio received his MSc degree in organic chemistry from the University of Pisa, Italy in 2011. A year later he moved to NYC to join Prof. John&apos;s lab at the City College of New York to pursue a PhD. 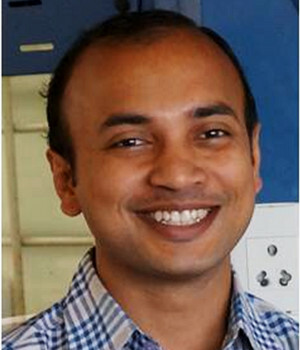 During this time, he worked on two different projects: one aimed at unraveling the complexity between chronic inflammation and tumor formation by utilizing Drosophila melanogaster as a model organism in collaboration with Dr. Govind (CCNY); as for the second project, he took advantage of molecular rotors (i.e., fluorescent compounds whose fluorescence is affected by intramolecular motion restriction) to investigate the self-assembly of low molecular-weight gelators. 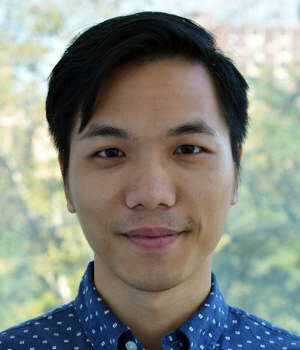 Currently, he is a postdoctoral research associate at ASRC, CUNY in Uljin lab where he is collaborating with Prof. Hyungsik Lim (Hunter College) to study the dynamic self-assembly of small peptides via second-harmonic imaging microscopy. Outside of the lab, he enjoys playing music (flute and ukulele are his favorite instruments), cooking and running. Ana Pina received her BSc on Applied Chemistry field Biotechnology at Faculdade de Ciéncias e Tecnologia, Universidade Nova de Lisboa (FCT-UNL), after completing 6 months project at Department of Inorganic, Physics and Materials Chemistry in University of Torino on the synthesis and characterization of carbon nanotubes for biomedical applications. Ana Pina completed then her Master thesis in 2008 in Biotechnology under supervision of Prof. Cecília Roque on the Synthesis and screening of rationally designed combinatorial libraries for proteomics applications. During her Master Thesis, Ana Pina conduct molecular modelling studies on ligand design at Institute of Biotechnology, Department of Chemical Engineering and Biotechnology, University of Cambridge, UK under supervision of Prof. Chris Lowe. In 2013, Ana Pina completed her PhD programme in Biotechnology at FCT-UNL under supervision of Prof. Roque (FCT-UNL) and Prof. Chris Lowe (University of Cambridge, UK) under the title "Novel affinity pairs "tag-receptor" for the purification of fusion proteins". During her PhD, Ana Pina also performed an internship at The Scripps Institute (La Jolla, California) on the field of Phage Display technologies under supervision of Prof. Carlos Barbas III. 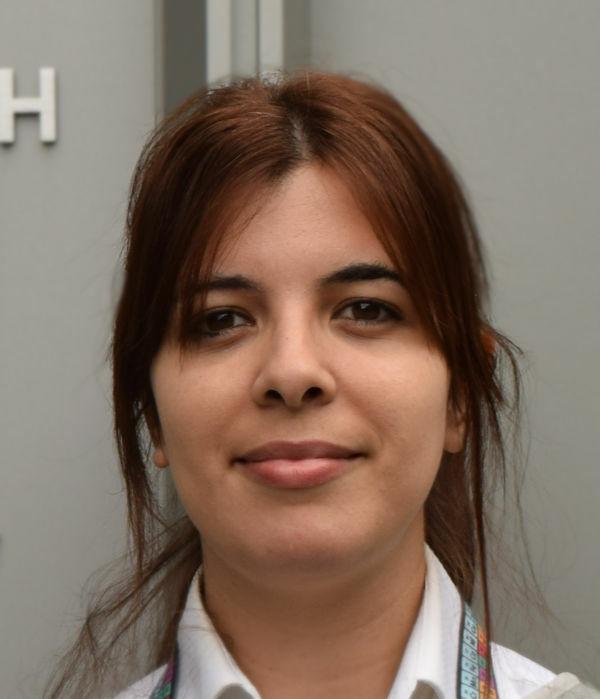 Since 2014, Ana Pina is a postdoctoral research associate working at Biomolecular Engineering Lab with Prof. Cecília Roque (FCT-UNL) in a joint project with Prof. Rein Ulijn (CUNY - Advanced Science Research Center, New York, USA) on the field of development of minimal versions of phosphatase enzymes by phage display. Chunqiu completed post-doctoral training in The National Center for Nanoscience and Technology after obtaining a Ph.D. from Jilin University in China. His research interests cover a broad spectrum of biochemistry, nanoscience and technology, including, self-assembled amphiphiles, aggregation-induced emission hydrogels, nano-drug/gene delivery systems, and artificial enzymes. Presently, Chunqiu is working as a post-doctoral Research Associate at The City University of New York under the supervision of Prof. Rein V. Ulijn (CUNY ASRC & Hunter College) and Prof. Charles Maldarelli (CCNY) researching self-propelled colloidal motors fueled by biocompatible materials. 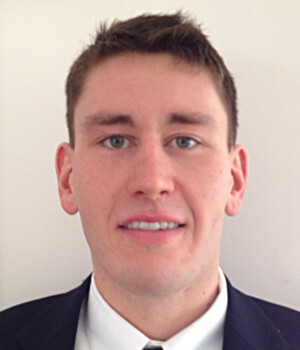 Doug MacPherson completed a BS degree in Biological Sciences from the University of Connecticut, and spent a year as a research assistant for Yale School of Medicine, Department of Nephrology. At Yale, Doug worked on projects studying the role of a specific protein produced by the kidney in pancreatic cancer, melanoma and chronic kidney disease. As a research assistant for Dr. Ulijn, Doug works with peptide-based hydrogels which function as a synthetic extracellular matrix for three-dimensional cell culture. Doug is also involved in a startup company based on this technology called Biogelx, a member company of Harlem Biospace. Sankarsan Biswas obtained his B.Sc. in Chemistry from University of Calcutta, India in 2014 and M.Sc in Chemistry from Indian Institute of Technology Madras (IIT Madras) in 2017. During his B.Sc. and M.Sc he worked on several short term research projects including his one year Master&apos;s thesis in Organic Chemistry (Photocatalysis). After his M.Sc, he joined the PhD program in Chemistry offered by CUNY. He is currently working on supramolecular nanomaterials in Professor Adam Braunschweig and Professor Rein Ulijn&apos;s group at the ASRC. Alexandra is currently a PhD student in Tissue Engineering and Regenerative Medicine (3B&apos;s Research group, UM, 2015). She is visiting the Ulijn group to continue her work on phosphatase triggered self-assembly systems and their of action in the context of cancer care. She holds a Bsc (University of Minho (UM), University of Pardubice, Cz 2010), an MSc in Medicinal Chemistry (UM, 2012), has completed post-graduate studies in Health of Science (Life and Health Sciences Research Institute, UM 2015) and made a short stay in Leiden University Medical Center studying in the field of molecular biology. ? Richard is a PhD student in the Ulijn group. Co-advised by Dr. Stephen O&apos;Brien from CDI of City College, he currently is working on the design and synthesis of enzyme responsive peptide functionalized gold nanoparticles for cancer theranostics. Prior to joining CUNY&apos;s PhD program, Richard received his B.S. in biochemistry from Miami University and M.S. in chemistry from Long Island University. Besides research, Richard likes hiking and travelling. Daniela obtained her B.Sc. in Food Science and Biotechnology and my M.Sc. in Medical Biotechnology from the University of Natural Resources and Life Sciences Vienna (Austria) after completing a final year project on human antibody receptors. Currently, she is working towards my Ph.D. in Biochemistry under the supervision of Prof. Rein Ulijn at the ASRC Nanoscience Initiative in New York. Her research focuses on designing stimuli responsive material using biological fuel sources. Yaron is a PhD student under the supervision of Prof. Rein Ulijn and Prof. Maria Contel at Brooklyn College. His research focuses on the synthesis and delivery of anti-cancer organometallic compounds using self-assembling peptides as nanocarriers. Prior to joining CUNY&apos;s PhD program, Yaron received his bachelors degree in Chemistry and Film from Brandeis University in Massachusetts. 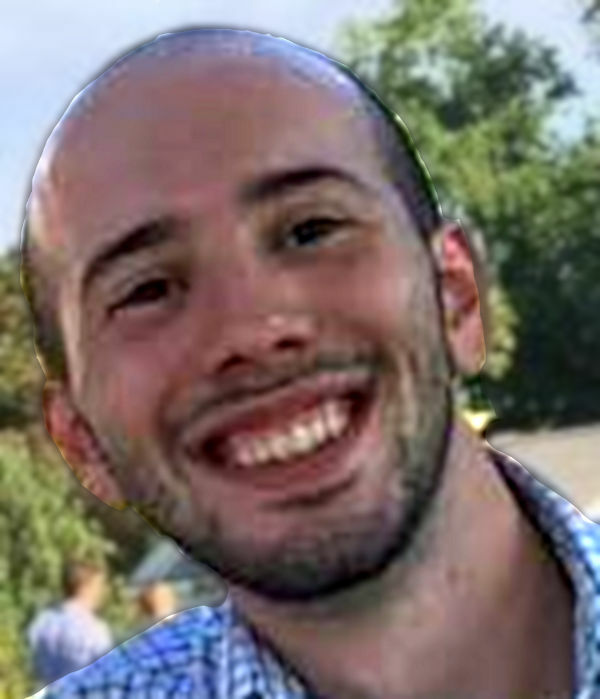 Besides research, Yaron enjoys listening to music, hiking and beating Elad and Avi at Smash. ? 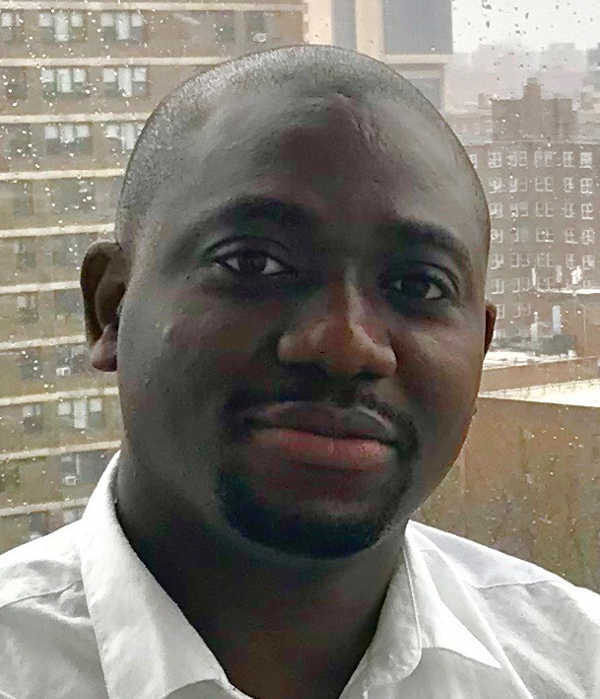 Samsondeen was born and raised in Nigeria, and after undergraduate studies in Industral Chemistry at University of Ibadan, Nigeria in 2012 he arrived in the US in 2014 to study for a Master&apos;s degree in Chemistry at the City College. During his Master&apos;s program, Samsondeen held an internship with the NYC, DEP, Bureau of Water Supply Metal Analysis unit where he had the opportunity to use the Inductively Coupled Plasma-Optical Emission Spectrophotometry (ICP-OES) to determine trace and heavy metals in drinkable water. His doctoral research studies are based on the use of nanomaterials to curb environmental problems. Jiye is a PhD student under the supervision of Prof. Ulijn and Prof. Maria Contel of Brooklyn College. Her research focuses on the synthesis of medicinal organometallic compounds and the delivery of those drugs using enzyme responsive short peptides for anti-cancer therapeutics. Prior to starting graduate school, she received her B.S. in Chemistry from SUNY Stony Brook University and was an employee of the Product Safety and Toxicology Department of The Estee Lauder Companies in Melville, NY. Nadeesha obtained her BSc in Chemistry from University from Peradeniya, Sri Lanka and MSc in Analytical Chemistry from Post Graduate Institute of Science, University of Peradeniya, Peradeniya, Sri Lanka. She is currently working towards a Ph. D. under the supervision of Prof. Rein Ulijn in collaboration with and Prof. Charles M. Drain, which focuses on Light Harvesting Peptide-Porphyrin Hydrogel systems. 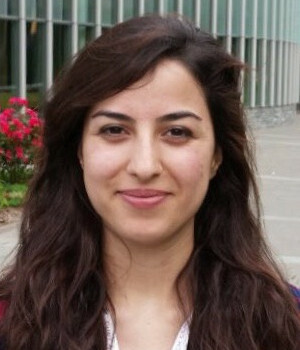 Mona obtained her BSs in Applied Chemistry from Azad University of Mashhad (Iran). She did her Internship in Food and Drug Organization, University of Medical Science, Mashhad (Iran). Afterwards, she completed an MSc in Inorganic Chemistry at Alzahra University, Tehran (Iran) which was focused on the synthesis of new copper complexes and evaluation of their cytotoxicity towards different cancer cell lines. After graduating, Mona worked as Research Assistant in the Medical Toxicology Research Center, University of Medical Science, Mashshad (Iran) and as Instructor in Organic and Inorganic Chemistry, Islamic Azad University of Mashhad (Iran). Currently, she is a PhD student under the supervision of Prof. Rein Ulijn. Her research focuses on directed evolution of peptide/drug nanoparticles for biomedical applications. Denise is an undergraduate student majoring in Biomedical Engineering at the City College of New York. Her research under Dr. Ulijn focuses on the synthesis of self-assembling peptides upon enzyme cleavage that can be used for cancer drug delivery in target areas of the body. She recently worked as a research assistant under Dr. Parra in the CCNY Neural Engineering Lab. 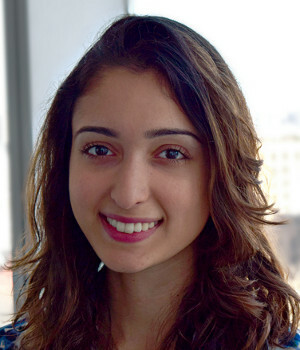 Ramim will graduate from the Macaulay Honors College at Hunter College in 2015, with a bachelors degree with honors in Chemistry and concentration in Biochemistry. During his final year, he worked under Professor Ulijn&apos;s supervision to complete his honors thesis on enzyme assisted self-assembly of dipeptide libraries. He is currently working towards an M.D. program, while continuing his research by investigating the aggregation and hydrogel formation of non-aromatic tripeptides for biomedical applications. Yousef earned his BSc (2006) and MSc (2009) in Applied Chemistry at Jordan University of Science and Technology/Jordan. His master&Apos;s research was conducted in collaboration with the Faculty of Pharmacy on "Developing Drug Delivery Systems". After that, Yousef joined industry where he worked as a Quality Control Analyst in Hikma Pharmaceuticals (one of the leading pharmaceutical companies in Middle East and North Africa) for two years. Since then, he decided to pursue his graduate studies in the field of biomaterials science. He joined the Ulijn research group in 2012 to work towards a PhD on "Dynamic Supramolecular Hydrogels with Adaptive Biological Functionality". His PhD project was part of an International Training Network (ITN), a European grouping of leading research labs in the emerging area of systems chemistry, funded by the EU and providing a unique and high level training. Yousef worked on the design of transient nanostructures to control stem cell fate. Lynsey graduated from the University of Strathclyde with an MSci in Chemistry, which included an industrial placement at Procter & Gamble investigating enzymes and enzyme-biopolymer interactions. Lynsey&apos;s PhD under the supervision of Prof. Rein Ulijn and Prof. Duncan Graham investigated the creation of programmable nanomaterials through enzyme-assisted self-assembly. Rachael graduated from the University of Manchester with an MEng (Hons) in Biomedical Material Science which included a year in industry at Smith & Nephew developing bioresorbable polymers. Rachael completed a PhD under the supervision of Dr. Rein Ulijn and Dr. Cathy Merry looking at developing polymer hydrogels for use in evaluating and directing liver cell behaviour. Shuo gained his Masters and PhD degrees from the Max-Planck Institute of Colloids and interfaces, Germany, under the guidance of Prof. Helmuth Möhwald. His research is mainly focussed on the synthesis or self-assembly of hydrogels to incorporate various inorganic nanoparticles and enzymes for biocatalysis, bioimaging and drug delivery. After his PhD he joined the Adolphe Merkle Institute in Switzerland as a postdoctoral researcher under the supervision of Prof. Christoph Weder, where he has explored the shape memory of nanocomposite materials. He has recently joined the Ulijn Group to work on on gel-phase green energy systems. Lauren graduated with an MSci in Forensic & Analytical chemistry in 2010. This degree included an industrial placement with Alphasense Ltd researching and developed electrochemical gas sensors and a final year project investigating the enzymatic synthesis of glucose esters with Prof. Peter Halling. Her doctoral research, co-supervised Peter Halling, concerned generic methods of enzyme immobilisation. Nurguse graduated from UMIST with a BSc (Hons) in Biochemistry and an MSc in Bioanalytical and Biomedical Measurements. She completed a PhD under the supervision of Dr Ulijn and Dr J. E. Gough researching and designing an enzyme responsive hydrogel dressing for the management of chronic wounds. Louise graduated from UMIST with an MChem (Hons) in Chemistry after completing a project with Prof. R. A. Goodacre using MALDI-TOF spectrometry to distinguish between different strains of bacteria. Her PhD involved developing an LCD system to detect protease activity under Dr S. J. Webb and Dr Ulijn at the University of Manchester. She has now moved to the University of Strathclyde where she is developing immobilisation techniques to direct spatially defined hydrogellation. 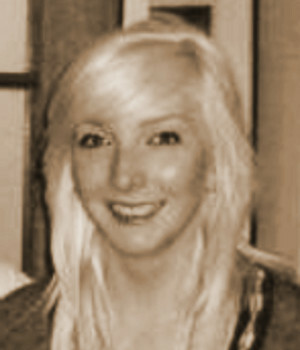 Lauren graduated from University of Strathclyde with BSc(Hons) in Forensic Biology. Having previously worked on a project at the University of Pharmaceutical and Veterinary Medicine in Brno, Czech Republic studying ability of compounds to protect against oxidation she spent her PhD investigating the use of biogels to support functional islet cells. Dan graduated from the University of Strathclyde with a BSci(Hons) in Pure and Applied Chemistry in 2011. He completed his final year projecton the computational study of synergistic behaviour in certain mixed-metal inorganic reactions under the supervision of Dr. Tell Tuttle and recieved a PhD on a collaborative project between Prof. Rein Ulijn and Dr. Tell Tuttle involving computational modelling and analysis of bimolecular architectures and the the development of new computational methods. Maria Paola received her BSc in Materials Science from the University of Bari (Italy) and her MSc in Materials Engineering from the Polytechnic University of Torino (Italy), after completing a final year project on the synthesis and characterisation of magnetic nanoparticles for biomedical applications at Institut Charles Gerhardt, Montpellier (France). Her doctoral studies focussed on the development of multidomain gels for cell structure by 3D enzymatic structuring. Brian graduated in Biochemistry from the University of Liverpool and went on to obtain an MRES in the 'Physical analysis of biological interactions on surfaces'. He completed his PhD in 'The development of nanoparticulate coatings for biomaterials' at Liverpool. He undertook a post-doctoral position working on a discipline hopping award at the University of Liverpool. He moved to Newcastle University to investigate surface modification and biofunctionalisation of medical devices for 12 months. After working in the Ulijn group on nanostructures, peptides and enzyme responsive surfaces for biomaterials research, he is now working to establish is own imports company. During his PhD Apurba studied the synthesis and characterization of various peptide based nanomaterials under the supervision of Dr. Arindam Banerjee at Indian Association for the Cultivation of Science, Kolkata, India. He then joined the Ulijn group and worked on characterising the different properties of peptide hydrogels through a range of physical techniques. Sisir gained his PhD in 2010 from the Indian Association for the Cultivation of Science, Kolkata, under the guidance of Prof. Prasanta Kumar Das for his research into the design and synthesis of short peptide derivatives and their self-aggregation properties in aqueous and organic solvents. After his PhD he joined in the Matière Condensée et Systémes Electroactifs (MaCSE) groupas a postdoctoral researcher under the supervision of Dr. Franck Camerel at the University of Rennes 1, where he has explored the supramolecular properties of novel dithiolene complexes. 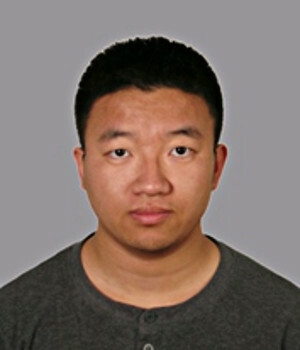 He recently joined the Ulijn Group and will be working on enzyme mediated supramolecular assembly of short peptide derivatives. 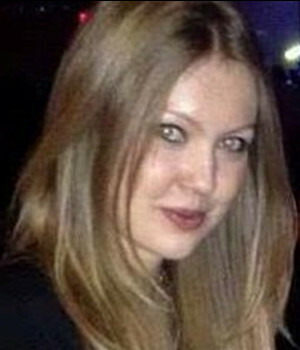 Krystyna graduated from the University of Strathclyde with an MSci in Forensic and Analytical Chemistry in 2012. This included a year placement in Industry at Fujifilm Imaging Colorants, Grangemouth where she was a member of the Reactive Dispersants team. Krystyna joined the Ulijn group in her final year to complete her final year project "A Green Route to the Synthesis of Nobel Metal Nanoparticles". Krystyna&apos; PhD investigated the Discovery of Catalytic Peptides via Phage Display. Scott graduated from the University of Strathclyde with an MSci in Chemistry, after completing his final year project on the computational study of the UV-Vis spectra of oxazine dyes, with supervisors Dr Tell Tuttle and Prof. Andrew Mills. His PhD studies were a collaboration between supervisors Prof. Rein Ulijn and Dr Matt Dalby and involved the preparation of hydrogels designed for the expansion and on-demand differentiation of stem cells. Pier graduated from the University of Trieste (Italy) in Pharmacy, after completing a final year project under Prof. L. Gardossi on the study of stability of biocatalysts, using experimental and computational methods. He studied enzyme driven actuation of polymer hydrogels under the supervision of Prof. Ulijn and Prof. Halling. Pim has obtained an MSc Chemistry from the Radboud University Nijmegen (The Netherlands) in the Molecular and Laser Physics group. He then completed his PhD in the Ulijn group in collaboration with Dr. Neil Hunt (Physics), using ultrafast IR spectroscopy and molecular dynamics simulations to explore the fundamentals of peptide self-assembly and nanostructure formation. Currently, he is working on an ERC Proof of Concept grant to launch the product of his work, hydrogel-encapsulated H2 evolving catalysts, into the pre-commercialisation stage, using femtosecond UV/Vis pumped IR spectroscopy, electrochemistry and DFT calculations. Kirsty graduated from the University of Strathclyde in 2008 with a MSci in Chemistry after working with Prof John Murphy on potent electron-donating dication species for her final-year project. She completed her PhD research on SERS-active nanostructures prepared by modified nanosphere lithography under the supervision of Prof Duncan Graham and in collaboration with Prof Jean-François Masson at the Université de Montréal. 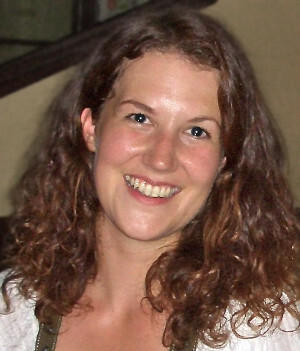 Kirsty then joined the Ulijn group as a Post-doctoral Research Assistant and worked on short, enzymatically-active peptides. Andrew completed his PhD studies in the general areas of polymer solution chemistry and rheology from the University of Leeds. Following this, he undertook post-doctoral research at the University of York exploring the relationship between molecular self-assembly and macroscopic gelation of dendritic systems. In Spring 2008, he joined the Ulijn group and explored the molecular gelation pathways that control material properties of peptide-based hydrogels. Eleanore graduated from University of Strathclyde, completing an MSci degree in Forensic and Analytical Chemistry. During this she worked at Pfizer Ltd using HPLC techniques for drug purification purposes. After completely a final year project in Prof. Graham's group, she continued her studies there in order to achieve a PhD investigating the using of lithography methods for improved biomarker detection platforms. Eleanore worked as an RSE/SE Enterprise fellow, looking to commercialise products created within the research group. Nadeem received his MSc in Chemistry from University of Punjab, Pakistan and MPhil. in Biotechnology from Quaid-e-Azam University, Pakistan. He then joined the International Max Planck Research School in Chemical Biology in Dortmund, Germany, where he conducted his Doctoral work on protein structural stability and characterization of protein-protein interactions of amyloidogenic proteins under the supervision of Professor Dr. Roland Winter. He joined University of Strathclyde in 2007 as Post-doctoral Research Fellow and joined Prof. Ulijn's group in 2011 as Research Associate to research biocatalytically induced supra-molecular self-assembly of aromatic peptide amphiphiles and the design of gel-phase biosystems for autonomous, solar fuelled devices. Vineetha received her BSc in Chemistry from University of Pune, India and an MSc in Polymer Science and Technology from University of Sri Jayawardenapura, Sri Lanka. In the second year of her MSc she completed a research project on 'Cross-linking of Elastomers' at University of Salford. She has recently completed a PhD at the University of Manchester supervised by Dr R. Ulijn and Dr J. Gough. 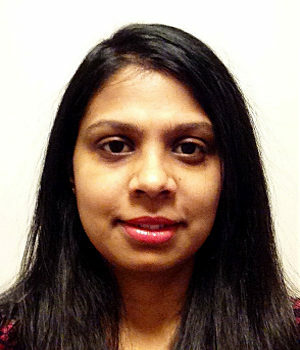 After her PhD, Vineetha worked as a Post Doctoral Researcher, investingating self-assembled hydrogels of short peptide derivatives and their applications in cell culture. Daniela graduated from the University of Trieste (Italy) with a degree in Pharmaceutical Chemistry and Technology after completing a final year project on the study of the bioavailability of a phytocomplex using the population pharmacokinetics approach in collaboration with the Faculty of Pharmacy, University of Ljubljana (Slovenia). She completed her PhD in Physical Chemistry at the University of Strathclyde under the supervision of Prof. Rein Ulijn investigating enzyme responsive nanomaterials for cancer applications based on two different approaches: self-assembly of aromatic peptide amphiphiles and functionalization of microgel particles. Daniela worked on the design of nanomaterials for cancer treatment. Deepak completed his B.Tech in chemical Technology from University Nagpur, India. Then he joined BASF coatings Pvt Ltd. and worked in R & D and technical support for a year. 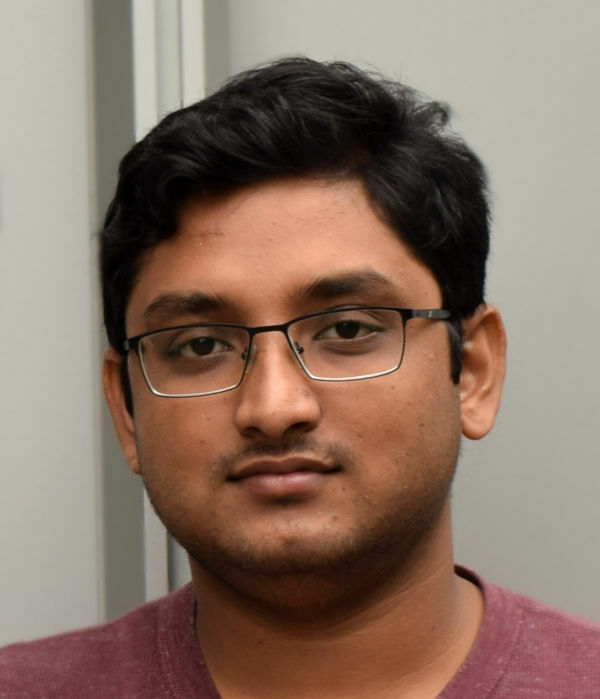 Deepak is recently completed work towards PhD on Engineered and chemically modified cellulose network for control cell adhesion supervised by Dr Ulijn, Dr S. Eichhorn, Dr W. Sampson and Dr J. Gough and is now a Research Associate at Liverpool University. JunTae completed his PhD in chemical engineering under the supervision of Prof. Koo at Hanyang University, Seoul, Korea. During his PhD, he studied the synthesis and characterisation of precursors for MOCVD and ALD and preparation of semiconducting nanoparticles. After one and a half further years as a postdoctoral researcher at Hanyang University, he joined the Ulijn group as a postdoctoral researcher and research technician investigating enzyme-assisted self-assembled nanomaterials for optoelectronic applications. Meenakshi was awarded PhD in Chemistry from Indian Institute of Technology Roorkee, India for work on LC methods for separating pharmaceutically important compounds. Subsequently, she carried out postdoctoral research at the University of Kentucky, USA and Saarland University, Germany. A wide range of projects included toxicology studies of PCBs and involved the use of sophisticated LC-MS instruments. On her return to India in 2003, she worked as a lecturer in undergradute colleges in Chandigarh,India. She worked in the Ulijn Group as a research fellow, collaberating with Prof Neil Hunt of the Physics department to explore the stability of amino acid gels using a combination of HPLC, fluoroscence, FTIR and 2-D IR techniques. Ben received his Ph.D. (Organic Chemistry) form The University of Manchester under the supervision of Prof. Jonathan Clayden on a topic of Conformational Preference in Aromatic Dicarboxamides. Since that time he had gained experience as a Post Doctoral Research Associate with Prof. Pat Bailey at the University of Manchester. During the time with Prof. Pat Bailey, his research involved designing industrial scale synthesis for different thiopeptides, and their related prodrugs. Joy graduated from the University of Strathclyde with an Msci in Forensic and Analytical Chemistry in 2010. The course included an industrial placement year at Almac Sciences (Scotland) in East Lothian, where she was a member of the Peptides Oligonucleotides and Proteins (POP) group, manufacturing custom peptides. During her fifth year as an undergraduate, Joy joined The Ulijn group for her final year project - Dynamic Peptide Systems. Joy worked on a PhD under the supervision of Prof. Rein Ulijn and Dr Mark Haw, within the Chemical Engineering department, investigating enzyme-driven directed colloidal motion for nanoscale transport. Rob returned to liposome research with Dr Simon Webb preparing magnetic nanoparticle/vesicle aggregates for novel biomaterials. He is currently working on intracellular biophotonic nanoswitches for Prof. Allemann in Cardiff. Kenneth graduated with a B.A. in BioMathematics from Rutgers University. His undergraduate research focused on using differential geometry to study shape preference. 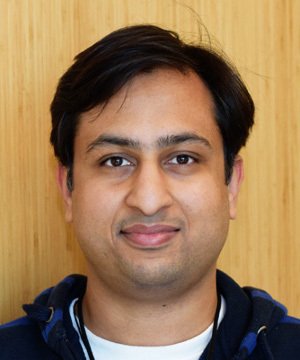 Afterwards, he completed a PhD in Computational Biology and Molecular Biophysics under the supervision of Dr. Vikas Nanda at Rutgers University. His doctoral work focused on computationally predicting and experimentally validating the self-assembly of nanostructures formed from hydrophobic-rich collagen peptide sequences. These nanostructures are being used to create synthetic and natural protein interactomes and understand protein surface evolution. He joined Dr. Rein Ulijn&apos;s lab as a Research Associate and is developing and experimentally verifying computational methods for predicting non-equilibrium self-assembly. Kimberley graduated from the University of the West of Scotland, Paisley, with a BSc (Hons) in Medicinal Chemistry and was awarded the Court Medal 2009-2010. She spent an industrial placement year at Ciba Speciality Chemicals developing Electrophotographic Toners. Kimberley has also studied Physics and Mathematics with the Open University. She worked with Prof. Rein Ulijn and Prof. Pete Skabara investigating gel-phase photosynthetic devices from renewable resources. Tom graduated from the University of Manchester with a BSc in Biomedical Materials Science. He then remained in Manchester and was awarded an MSc in Polymer Material Science and Engineering in 2005. Tom completed his research on the synthesis of PEGA polymer particles for use in biology and medicine and took a position at Unilever before returning to academia as a PDRA at Liverpool University. Krishna Mohan completed his MSc in chemistry from University of Hyderabad, India in 2008. He was then selected for the International NRW Graduate School of chemistry PhD programme and carried out his doctoral work on stimuli-responsive supramolecular interactions of vesicles composed of amphiphilic cyclodextrins under the supervision of Prof. Dr. Bart Jan Ravoo at the University of Muenster, Germany. He received his PhD degree in 2011 and has recently joined in the group of Prof. Rein Ulijn as a postdoctoral research associate where he will be investigating the electronic properties of enzyme driven dynamic peptide libraries for the development of light harvesting systems. Conor graduated from University College Cork with a BSc in Chemistry. He completed his final year project in the Tyndall National Institute's Advanced Materials and Surfaces Group under Prof. Martyn Pemble and continued there the year after towards receiving his MSc in Materials Science for studies in the deposition and characterisation of metal oxide thin films for self cleaning applications. He worked under Prof. Rein Ulijn on the electronic properties in peptide nanostructures. Babis has obtained a Msc Chemistry from the University of Ioannina (Greece) in Structural Biology. Under the guidance of Dr. Andreas Tzakos he worked on synthesis of bioactive molecules and their drug targets using modern NMR and calorimetric techniques. He gained his PhD under the supervision of Prof. Ulijn on the study of acoustic gels, directing and controlling biomolecular interactions using audible sound, and was later a research associate in the group. Alison graduated from the University of Manchester in 2005 with an MEng in Biomedical Material Science. As part of her degree Alison spent a year working at DePuy CMW in Blackpool investigating properties of new bone cement powder. She then went on to do a PhD in Rein Ulijn's research group at the University of Manchester designing fluorescent hydrogel particles for detection of proteases secreted from cells. 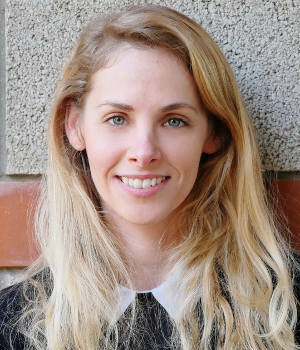 Alison completed her PhD in 2010 and is now working as a PDRA in Ardeshir Bayat's research group at the University of Manchester. Inês graduated from the Faculty of Engineering of the University of Porto (Portugal) with an MSc Bioengineering - Biological Engineering. She did a research project on the enzymatic degradation of pharmaceutical compounds in the University of Santiago de Compostela (Spain) and her final masters thesis focused in the development of nanoparticles for cancer therapy. Her PhD was a collaborative project between Prof. Rein Ulijn and Dr. Tell Tuttle on the development and molecular modelling of self-assembled aromatic peptide amphiphiles in different solvents and interfaces. Grace graduated from Leeds University with a BSc (Hons) in Colour and Polymer Chemistry, then moved to Manchester to complete an MSc in Polymer Materials Science and Engineering. She researched polymer hydrogel arrays for biomedical screening applications. Rachel was appointed as a teaching fellow in the Materials Science department of the University of Manchester for a year and is now retraining as a teacher. Jugal completed a degree in Chemistry at the BJB Autonomous College, Bhubaneswar and a masters degree in Chemistry from the Hyderabad Central University before joining Prof. Wolfgang Tremel&apos;s research group in Johannes Gutenberg University of Mainz, Germany. His doctoral work dealt with the surface engineering of different layered metal chalcogenide nanostructures, decorating them with different ligands for self assembly of different nanoparticles onto the chalcogenides.He joined the Ulijn group to investigate the catalytically-driven self assembly and reconfiguration of different inorganic nanoparticles. Sangita completed her PhD in chemistry from Indian Association for the Cultivation of Science in Kolkata, India under the supervision of Dr. Prasanta Kumar Das. During her doctoral studies she designed and synthesized several peptide-based self-aggregating systems and soft matterials with potential biomedical applications. She was a research fellow in the Ulijn Group and studied the use of several different enzymes to drive supramolecular assembly of sugar-peptide systems. Jan graduated from Warsaw University where he obtained a degree in the Laboratory of Natural Products under Prof. Zbigniew Czarnocki. He went on to do a PhD with Prof. Douglas Philp at the University of St Andrews where he focused on evolving complex chemical networks from simple molecules utilizing dynamic combinatorial chemistry and synthetic self-replication. He joined the Ulijn Group at the University of Strathclyde as a research fellow and investigated the development of peptide based dynamic systems and enzyme-assisted self-assembly before moving on to join the laboratory of Dr Sijbren Otto at the Univesity of Groningen in the Netherlands. Ivan graduated from the University of the Basque Country, completing his final year at the University of Strathclyde where he worked to reveal the molecular interactions in hydrogels under the supervision of Prof. R. V. Ulijn and Dr. T. Tuttle. 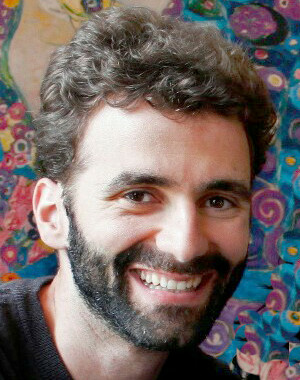 Ivan&apos;s PhD work exploited the synergetic effect of computational and experimental work in the study of catalytic self-assembly. Gary graduated from the University of Strathclyde in 2013 with an MChem in Pure and Applied Chemistry, which included an industrial placement with XstalBio, a spin out company from the university. During his final year, he undertook his research project with the Ulijn group, using peptide hydrogels and Pickering emulsion to improve the efficiency of enzymes for organic reactions. He is currently working towards a Ph. D. under the supervision of Prof. Rein Ulijn and Dr. Tell Tuttle, in collaboration with Macphie of Glenbervie, which focuses on making short peptides for use as surfactants for food emulsions. Andrew studied for his PhD at Sussex University characterising and redesigning a peptide based nanofibre that had been initially designed by his supervisor Prof. D.N. Woolfson. After this he moved to Leeds University to use mass spectrometry to look at self-assembling non-covalent systems with Dr. A.E. Ashcroft in collaboration with Prof. S.E. Radford and Prof. P.G. Stockley. During his stay with the Ulijn group Andrew characterised peptide hydrogels utilising a range of techniques. Claire graduated from The University of Bordeaux 1 (France) with a BSc in Biochemistry and a MSc in Chemistry, including a final year project under Dr R. Oda on physico-chemical characterisation of lipopeptide gels. She then moved to The University of Manchester, where she gained a PhD studying peptide gels as substrates for 3D cell culture under the supervision of Dr R. Ulijn and Dr A. Saiani. Kate graduated from the University of Manchester with an MEng (Hons) in Biomedical Material Science, incorporating an industrial placement at Johnson and Johnson Wound Management. She recieved a PhD under the supervision of Dr. Ulijn and Dr. Merry on hydrogels for the culture of embryonic stem cells. After completing his BSc (Hons) in Chemistry at the University of Leeds, Paul headed to the bright lights of Manchester. Shunning solid state chemistry he was awarded an MSc in Polymer Science in 2004. Paul then opted to continue his research into hydrogel particles for a PhD. Following the completion of his studies he took a position with a leading contact lens manufacturer before moving to Ireland as a PDRA. After obtaining a BSc (Hons) degree in Biomedical Materials Science from the University of Nottingham, including a final year project under Prof. D. Grant on the functionalisation of diamond-like carbon with albumin, Simon took a year out to travel in North America. He completed a PhD in the construction of enzyme responsive surfaces at the University of Manchester supervised by Dr Ulijn and Dr J. Gough. Simon then went on to work for award-winning start up company Renephra. David received his BSc in Chemistry from the University of the Basque Country (Spain) and his MSc in Materials Science from the Manchester Metropolitan University (United Kingdom). He then joined Belzona Polymerics Ltd. in Leeds where he was a member of the R&D team. David worked on a ollaborative project between Prof. Rein Ulijn and Prof. Shuiqin Zhou, based on the study of quantum dots and peptides interactions for biomedical applications. Richard studied for his Bachelors in Biotechnology at Reading, completing his project on the use of bacteriophage enzymes for the production of bioactive oligosaccharides. Upon graduating, he took a position at the Forensic Science Service performing various items of casework. He then moved to the Medical Research Council operating a genomic sequencing service for the Clinical Science Centre. Deciding work was too much like work, and DNA sequencing was overrated, he went back to school and completed a BBSRC funded Masters Degree in Biochemical Engineering, focusing on the use of enzymes as Temperature Time Indicators for industrial processes. After completing his work on enzymatically triggered self assembled hydrogels, Richard has taken up a position at CSIRO in Australia. Haixia graduated from Harbin Institute of technology with MSc in Physics and Chemistry of Materials. In the second of MSc programme, she came to Advanced Carbon Division in Institute of metal research Chinese academy of sciences to complete a research project on 'Effect of surface chemical structure on the electrochemical performance of carbon nanotubes'. She is currently studying for a PhD with the project about electricity properties of peptide nanotubes at the university of Manchester supervised by Dr Ulijn. Mischa obtained his first degree in Chemistry from the Technical University Graz for his project work contered on the synthesis of smart fluorescent dyes. He then moved to the University of Nottingham where he studied the interface of Material Science and Biochemistry for his PhD. The work entailed surface modification and characterisation using thin polymer films to develop biomaterial applications and study cell adhesion and protein adsorption phenomena. After his PhD, Mischa worked as a postdoctoral researcher on molecular photonics at the University of Newcastle before taking up his current position at the University of Strathclyde. 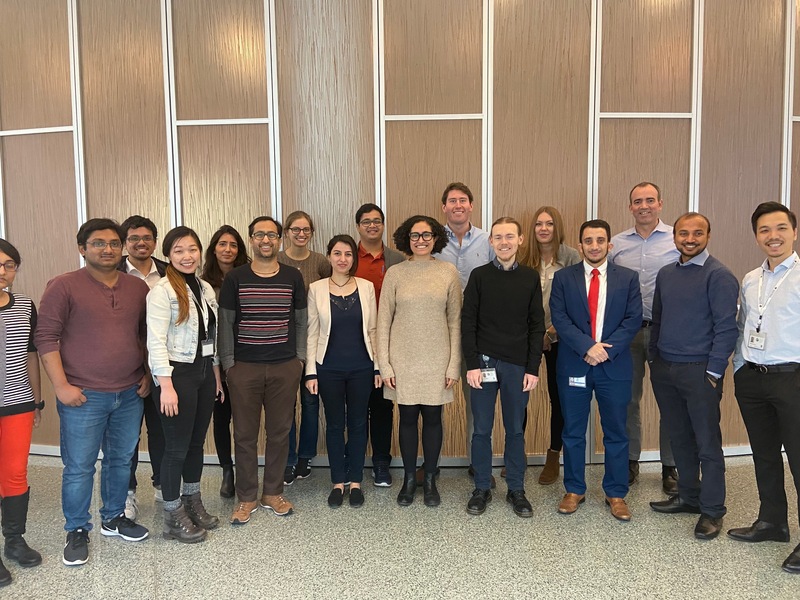 Mischa's research interests in Prof Ulijn's group included the development of smart polymer surfaces for tailored applications in stem cell differentiation and peptide based self assembled nanostructures. Mi's PhD with Julie and Rein focussed on reconstructing a full-thickness skin graft for chronic wound healing. The aim of the study was to co-culture fibroblasts and keratinocytes in the ECM (extra cellular matrix)-resembling hydrogels, to hopefully let the cells interact happily with each other and to regenerate a complete skin structure of epidermis and dermis.